The St. Johns School System has a school library media program in each school. 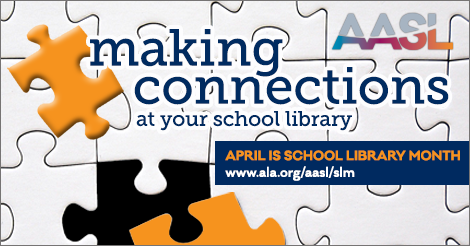 We are fortunate to have at least one professional media specialist and a media aide or media resource technician in each school library media center. Each media center is encouraged to offer flexible access so students may access the library collection at any time of need as is the system in our public libraries. This statewide recognition is awarded to schools that involve their school faculty members, parents and students in developing and implementing outstanding library media programs focused on student achievement. Based on the FPLS reviewers’ evaluations, the winning schools’ library media programs received excellent scores in the following components: Instruction, Curriculum/Assessment, Resource Management, Program Administration, Environment and Advocacy. The FPLS award is valid for a period of three years. During that time, the schools have agreed to mentor other schools from around the state in their quest to develop quality library media programs. 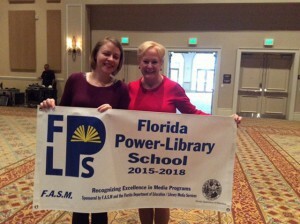 Click here to see St. Johns County Schools that have earned Florida Power Library Status.